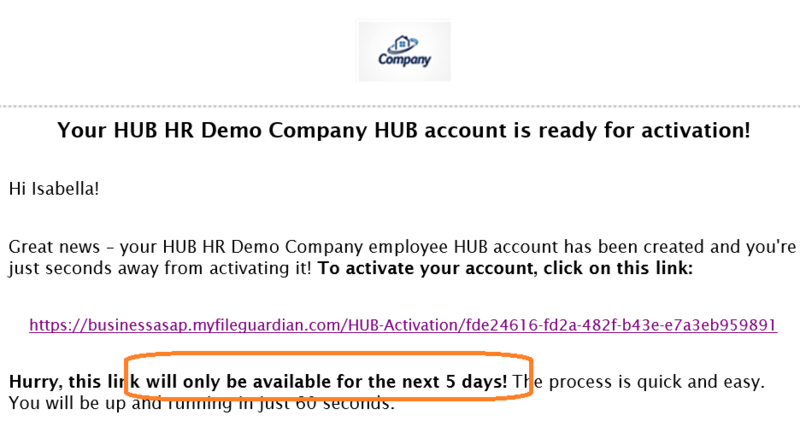 Activation Emails: If an employee was loaded to payroll directly (not via HUB New Hire feature), the employee will receive an activation email similar to this one within 24 hours of being added to the payroll software. Employees will have 5 days to activate their account via this link before the activation link expires. 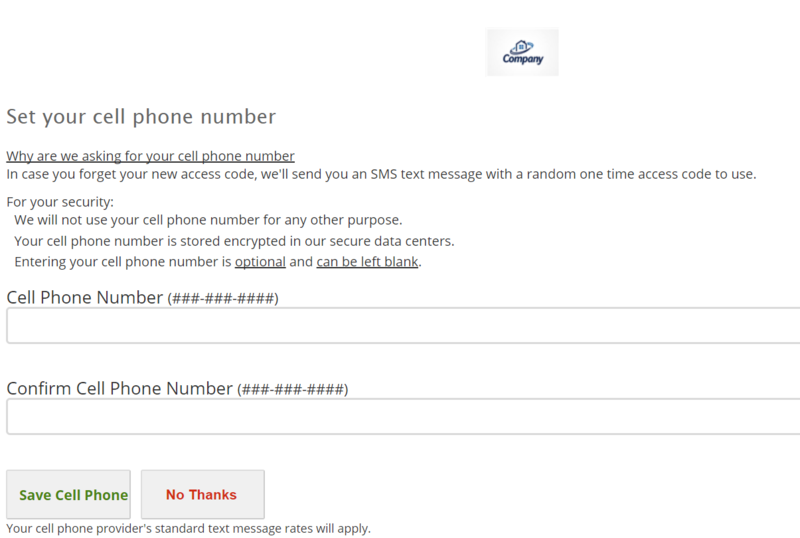 User Verification: Employees will be directed to a page that requests certain data to verify the user. 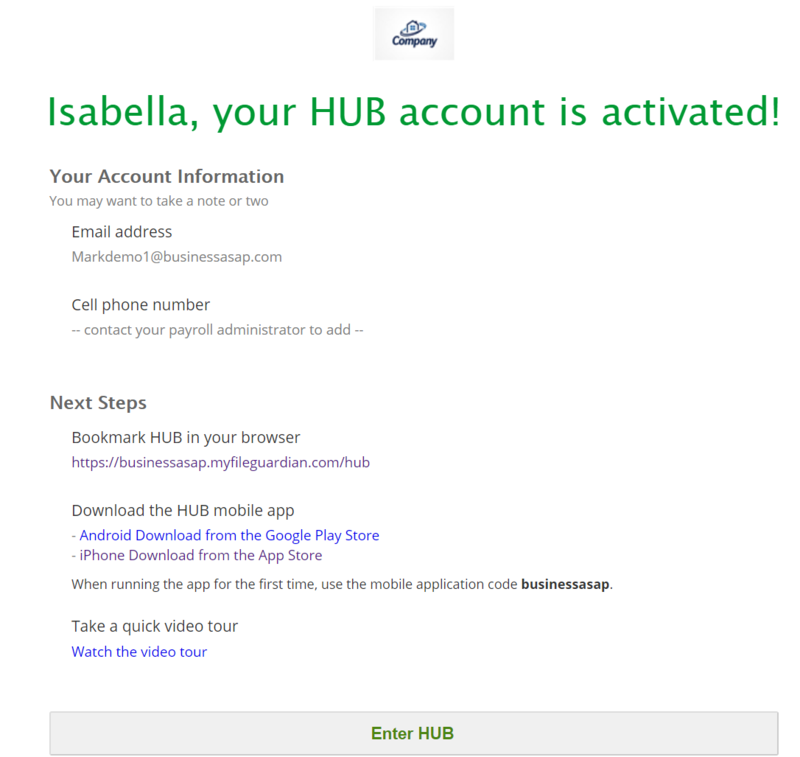 HUB Intro/Tour Video: A brief intro page with helpful instructions is shown to the employees. User Cell Phone: If cell phone has not yet been input, the employee will be given an option to update the data before entering HUB. Cell phones are used to send password reset codes to HUB users via a second device outside of their email address for enhanced security. 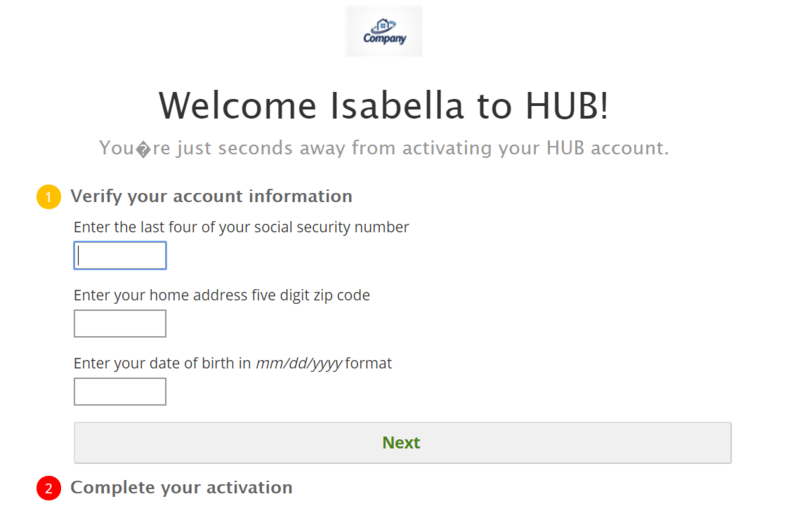 If left blank, a user will have to contact their company HUB admin to help them reset their passwords. No Birth Date: If an employee was added to payroll without their birthdate input, they will not receive an activation email. 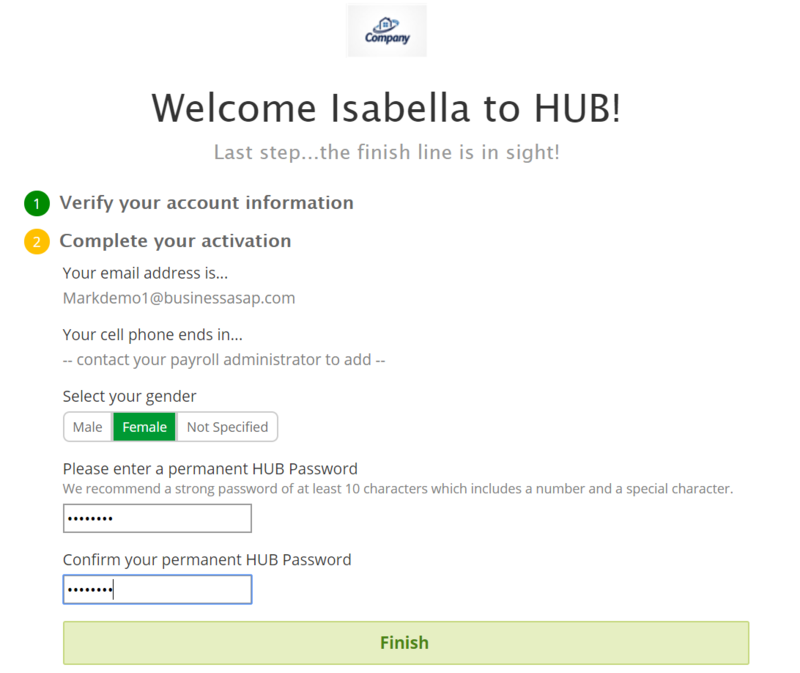 On their first payday, they will receive an email notification of their pay stub being loaded and will need to ask their HUB admin to help reset their passwords to log into HUB initially. Invalid Data Issues: If an employee is unable to activate their account because their data fields are not correct, they should contact their company's HUB admin to help them diagnose. Perhaps a different address was input or perhaps a data entry error occurred that needs to be corrected.